It is with broken hearts that we announce the peaceful passing of our wonderful mother, Mary “Alice” Atwood, age 93, on Monday, 8/20/18. She was born September 19, 1924, in Jackson, Tennessee to her mother, Ruth Elizabeth Long Hair and father, Harry Earle Hair, Sr. She had an older sister Edith Hair Marcom and older brother Earle Hair, Jr. (both deceased). Alice and Dave had four children: David Paul Atwood (deceased), Susan Elizabeth Atwood, Nancy Alice Trent (John) and Charles Nelson Atwood (Debbie Kulikowski Steinberg). She has four grandchildren: Paul & Brett Atwood, Jennifer Trent Staves (Pete) of London, England, and Wesley Trent. She had two great grandchildren: Margot Staves and Ralph Staves. Alice was married to David Atwood, a career pilot with the Air Force, for 49 years before he passed in 1994. She met him at Dyersburg, Tennessee when he was ferrying planes across the US. He had been a prisoner of war and asked her to marry him when he returned from the war. They were married on July 29, 1945 in her home church, Hays Avenue Methodist Church in Jackson, Tennessee. Alice and Dave traveled all over the US in their married life and retired in Miami, Florida in 1963 where Alice resided for 53 years until her recent passing. She worked in the Dade School system as a Library assistant in Cutler Ridge Jr. High and South Dade High School where she retired. 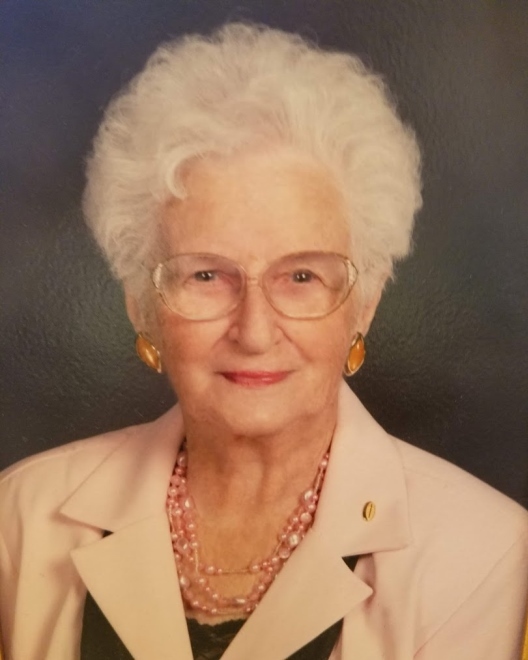 Alice was very active in her church, Cutler Ridge United Methodist Church, and the United Methodist Women, and in her community: Town and Country Garden Club, the Redland Christian Woman’s Association, Caribbean Music Club and last but not least, Beta Sigma Phi Sorority. She had also been an Eastern Star. We want to thank all of her family and friends who loved her so very much. Alice loved flowers, but if you would like to make a donation in her name, please do so to the charity of your choice. She did like UMCOR (through the church), Florida’s Boys Ranch, Ronald McDonald House, Disabled American Veterans, and St. Jude’s Children Hospital.